It’s 2016 and a new generation of stars are set to pick up the proton packs that Bill Murray, Dan Aykroyd, Harold Ramis and Ernie Hudson once wore to defend New York from paranormal terrors. 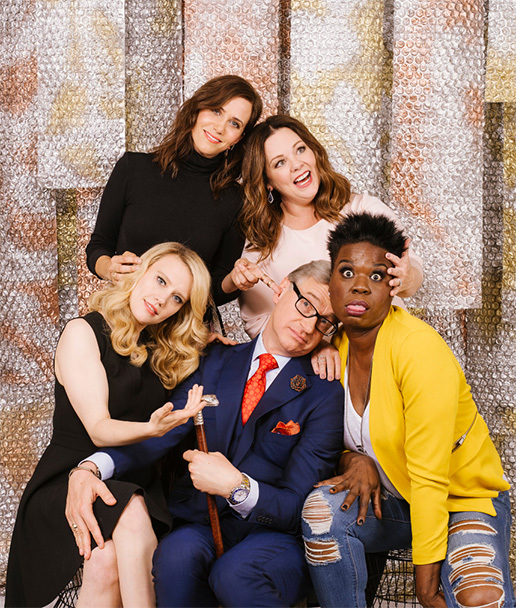 Melissa McCarthy, Kristen Wiig, Leslie Jones and Kate McKinnon joined Paul Feig and The New York Times’ Dave Itzkoff at The Hollywood Roosevelt to discuss the upcoming release of the new Ghostbusters production. The cast members and director also discussed Ivan Reitman’s 1984 comedy blockbuster, sexist detractors and cries of “You’re ruining my childhood!,” and much more. Read the interview in full here. Ghostbusters will be in theaters July 15.